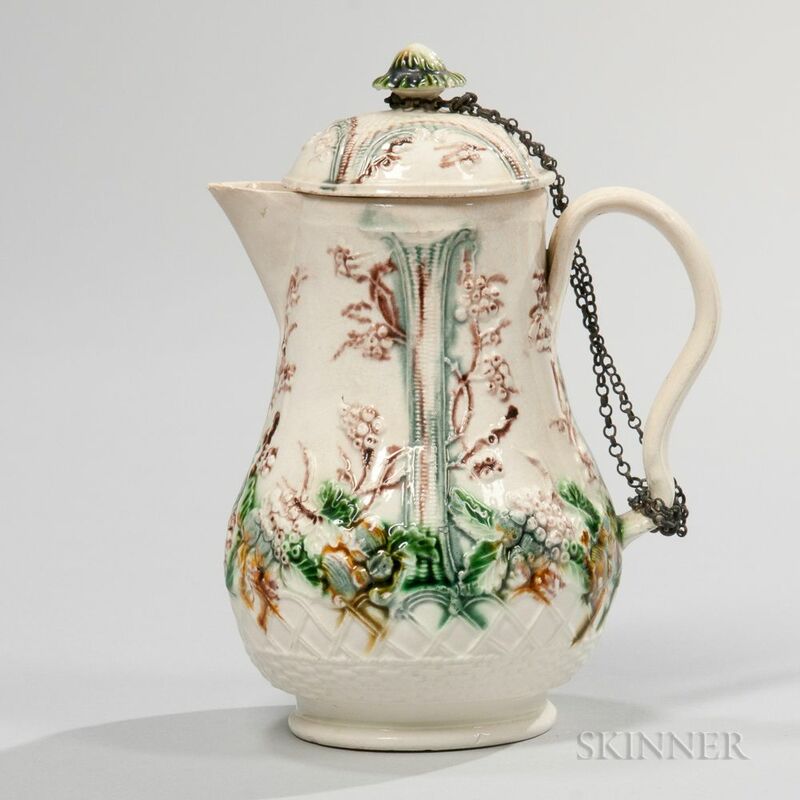 Staffordshire Cream-colored Earthenware Creamer and Cover, England, c. 1755, attributed to William Greatbatch, ear form handle to a pear shaped body molded with fruit and decorated in underglaze polychrome enamels above a basketweave border, ht. 5 1/2 in. Cover: 1/4" and smaller rim chips; chips to inner collar. 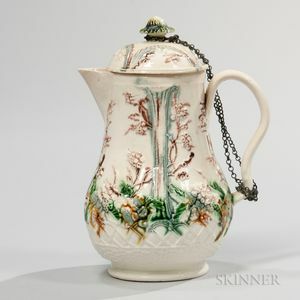 Creamer: several small chips along spout rim.